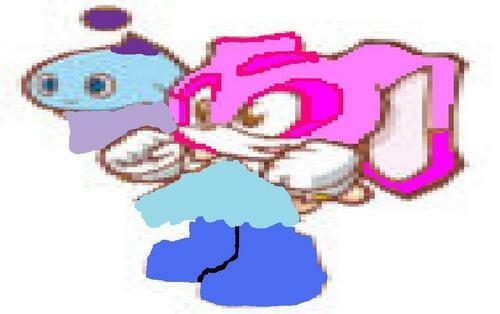 Suger The Bunny And Plum The Chao. Cute and cutely. HD Wallpaper and background images in the Girl sonic fan characters club tagged: recolour character. a plum that you get and find sugar inside it! sugar and plum are perfect together!